Is Your Wallet Empty After Steam's Summer Sale? Another week, another round of gaming deals. That is, if Steam's Summer Sale hasn't drained your wallet by now. Now that the Steam Summer Sale's ended, an emboldened GameStop is venturing forth with its own Summer Sale. So far we haven't seen anything mindblowing, but there will be new offers every day. The highlight today is a 70% savings on Sleeping Dogs, bringing the title bundled with all its DLC down to $16.49. The Skyrim PC download isn't cheapest ever but still falls to a respectable $20.99, while the Fallout: New Vegas Ultimate Edition download is 75% off its usual price, typing the lowest we've seen. Paradox's latest published title Teleglitch releases tomorrow. It's a retro-looking rougelike top-down shooter priced at $12.99 everywhere.... well, almost everywhere. GameFly for some reason is pricing the title at $9.99 - a full 25% less. On top of that, there's a 20% off coupon code to drop the price down to $7.99. If you order before the July 24th release date, you'll get the soundtrack and 8 exclusive weapons/utilities. From the creators of The Book of Unwritten Tales comes The Raven: Legacy of a Master Thief, released just today. It's a point-and-click adventure game set in 1960s Europe with decent reviews. Steam and just about everywhere else has it for $22.49, but Green Man Gaming gives you a coupon code to discount further to $18. Today GameFly began a new "Midweek Madness" sale on several classic PC titles. Games like Empire Earth, SimCity 4, and Rome: Total War are all 75% off. Better still, you can use a 20% off coupon code to drop the prices even further. Feel free to ignore this entire post if you need to recover and brace yourself for the Autumn / Winter / Never-ending-stop-hurting-the-wallet Sale. PC Download Summer Sale - up to 80% off at GameStop. Like the Steam Summer sale, there will be new offers thrown up on their homepage through Monday, July 29th. Teleglitch: Die More Edition (PC Download) - $7.99 at GameFly. Releases July 24. Next best is $13 at Amazon. Legends of Aethereus (PC Download) - $24 at Green Man Gaming. Released yesterday. If you frequent KickStarter for game titles, you might have spotted this action co-op RPG. List is $30. Deal expires July 26. The Raven: Legacy of a Master Thief (PC Download) - $18 at Green Man Gaming. Classic PC Titles - up to 80% off at GameFly. 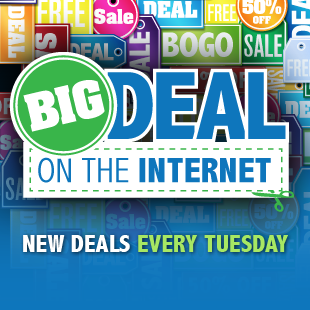 Deals expires July 26. Use coupon GFDJUL20 or GFDJUL20UK if you're in the UK. Everyone else... sorry? Releases August 6. List is $20. Tom Clancy's Splinter Cell Blacklist (PC Download) - $47.99 at GameFly. Releases August 20. List is $60. Diablo 3 (Xbox 360, PS3) - $49.99 at Amazon. Releases September 3. List is $60. Deal expires July 27. Ys: Memories of Celceta (PS Vita) - $35.99 at NewEgg. Releases September 24. List is $40. Deal expires July 24. Enemy Front (Xbox 360) - $52.99 at NewEgg. Releases September 24. List is $60. Deal expires July 29. Mario Party (Nintendo 3DS) - $35.99 at NewEgg. Releases November 1. List is $40. Deal expires July 29. Demon Gaze (PS Vita) - $35.99 at NewEgg. Releases April 1. List is $40. Deal expires July 24. Assassin's Creed 3 (Wii U, Xbox 360, PS3) - $19.99 at Best Buy. Next best is $40 at Amazon. Deal expires July 27. Max Payne 3 - Pre-Owned (Xbox 360, PS3) - $7.99 at Best Buy. List is $18. Deal expires July 27. God of War: Ascension (PS3) - $27.99 at NewEgg. Next best is $34 at Amazon. Deal expires July 29. Mass Effect 3 (Wii U) - $23.42 at Amazon. Next best is $30 at Overstock.com. Nintendo Land (Wii U) - $17.99 at Best Buy. Next best is $25 at JR.com. Deal expires July 27. Lenovo Erazer X700 Desktop - $1,499 at Lenovo. Specs: Quad Core i7-3820, GeForce GTX 660 1.5GB, 16GB RAM, and Blu-ray drive. List is $1,999. Lenovo IdeaPad Y510p 1080p Haswell Laptop - $969 at Lenovo. Specs: Core i7-4700MQ, GeForce GT 750M, 24GB mSSD, and 8GB RAM. List is $1,369. Deal expires July 26. 3-Month PlayStation Plus Subscription - $27.99 at Best Buy. Comes with a bonus $20 PS Network card. List is $38. Deal expires July 27.